Riding a motorcycle is a fun form of transportation and a popular hobby for many people. Bikers enjoy a real sense of camaraderie with other enthusiasts and there are numerous events planned throughout Florida designed specifically with them in mind. 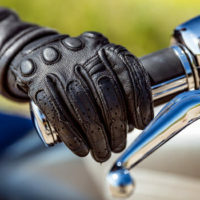 However, as motorcycles provide little in the way of protection on the road, it is important to keep certain safety precautions in mind when you ride. As one recent motorcycle accident in Bradenton shows, collisions can cause serious and often life threatening injuries. The following offers some tips to help protect you when on the road. A single vehicle motorcycle accident recently proved fatal for a Bradenton man. According to a report in the Bradenton Herald, the crash occurred on February 1, 2019 around 9:30 p.m., off Boulevard West near the parking lot of the DeSoto Square mall. The 39-year-old man was riding a Harley Davidson FXDWG motorcycle and was headed northbound in the left lane on 9th Street West when he reportedly failed to navigate a left hand curve in the road. He struck a curb on the right hand side, which caused him to veer off course and towards the mall parking lot. As the bike continued to skid out of control, the man struck a tree on the shoulder of the roadway, which caused him to be ejected from the motorcycle. Due to being thrown, the man collided with a parked 2019 Kia Niro, which was also eventually struck by the motorcycle. Unfortunately, he was not wearing a helmet at the time of the crash. He was taken to Manatee Memorial Hospital, but later died as the result of his injuries. Police are still investigating the causes of the accident. Lack of a motorcycle helmet, which increases the likelihood of serious and life threatening injuries. At the Law Office of Steven G. Lavely, we know the severe and potentially disabling injuries even a seemingly minor motorcycle crash can cause. We can assist you in getting the compensation you need to recover. To discuss the options in your case, call or contact our office online and request a consultation today.